SPECIAL! Demo Sale Was $39666. Now $37866! $1800 discount for a limited time! 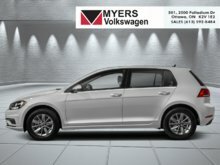 A 5 star safety rating is a modest addition to the overly refined and modern 2018 Volkswagen Golf. Seven consecutive generations of quality have proven that the 2018 Volkswagen Golf is still the ultimate hatchback. 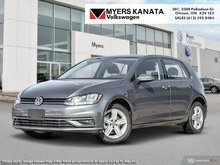 With an excellent safety score and the well known German quality build, this seventh generation Golf is simply money well spent. 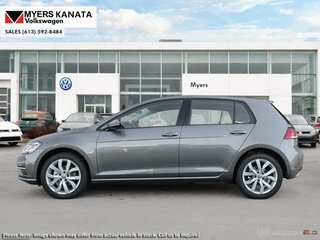 If you are on the market for a practical, versatile, stylish hatchback, look no further than the 2018 Volkswagen Golf. This platinum grey met hatchback has an automatic transmission and is powered by a 170HP 1.8L 4 Cylinder Engine. 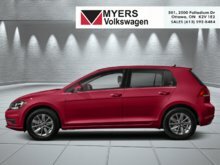 Our Golf's trim level is Highline 5-door. 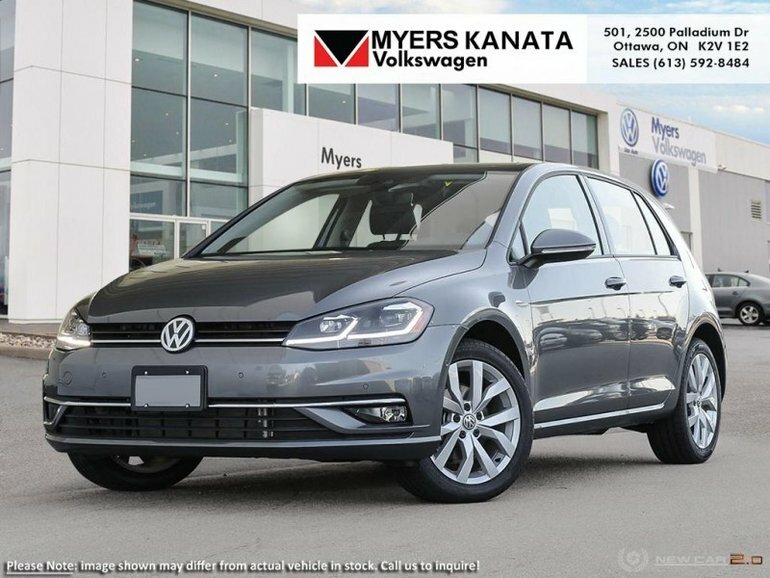 Historically famous and in its seventh generation, this 2018 Volkswagen Golf Highline will surprise with its quality and features. Standard options include a 6 speed automatic gearbox, power heated side mirrors with turn signals, power sunroof with sunshade, LED brake lights, power door locks, front fog lamps, cornering lights, 8 speaker stereo with sub-woofer with a USB input and an SD card slot, SiriusXM, 8 inch touchscreen, leather steering wheel, leather heated front seats, power adjustable front seats, proximity keyless entry, push button start, power windows, dual zone front automatic air conditioning, upgraded aluminum wheels, a back up camera, low tire pressure warning and much more. This vehicle has been upgraded with the following features: Driver Assistance Package. This is a demonstrator vehicle driven by a member of our staff and has just 10080 kms. 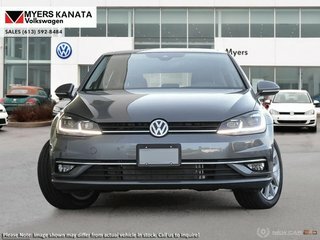 Interested in the 2018 Volkswagen Golf Highline 5-door ?